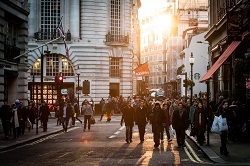 The Bureau of Labor Statistics defines an unemployed person as one 16 years and older having no employment and having made specific efforts to find employment in the past four weeks. By this definition, there was an average of 11,907 unemployed people in the Wichita metropolitan area in the first quarter of 2018, approximately 42 percent of whom collected unemployment insurance benefits. In the first quarter of 2018, there were approximately 4,986 people, age 16 and over, who collected unemployment insurance benefits. That is a 17 percent decrease from the fourth quarter of 2017. The Kansas Department of Labor has provided data on these unemployment insurance beneficiaries, including the industry from which they were separated. The next two largest categories were farm-raw materials wholesale with 10 percent, grocery and related product wholesale with 9 percent. The last three categories were miscellaneous non-durable goods, machinery and supply, and motor vehicle and parts; each with six percent of total statewide wholesale jobs. The auto dealership sector includes establishments that primarily sell new or used automobiles or light trucks. CEDBR, as part of research on Kansas’ retail and service sector gaps, has analyzed sales in the auto dealership sector in every county throughout Kansas. Below is a map of the auto dealership sales peer ratio for every county in Kansas. The ratio is constructed as the total auto dealership sales in each county, divided by the average auto dealership sales of their peer counties, in terms of population. A ratio larger than 100 indicates that a county has more auto dealership sector sales than its peers, while a ratio less than 100 indicates that a county has less auto dealership sector sales than its peers. The Council for Community and Economic Research released its annual Cost of Living Index for 269 urban areas. CEDBR is continuing its analysis of the components of the index by examining the healthcare component of the index. Wichita’s overall Healthcare Index value was 4 percentage points below the national average value of 100. The most expensive area for healthcare was Juneau, AK with an Index value 56.2 percentage points above the national average. The least expensive area was San Juan, PR which was nearly 36 percentage points below the national average. Read the full analysis. Between the fourth quarter of 2017 and first quarter of 2018, the general level of misery experienced by people in the United States and Kansas increased, but remained below the 2016 level. This can be attributed to increases in unemployment. From February 2018 to March 2018, the WSU Current Index stayed flat, while the Leading Index declined. The unemployment rate for Kansas, as a whole, fell from February 2018 to March 2018. 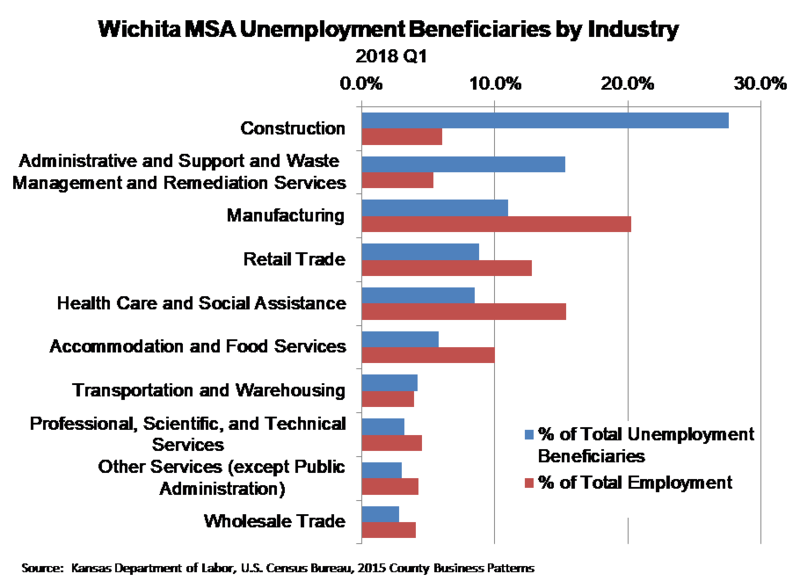 The Wichita, Topeka, and Lawrence MSAs all had a decrease in the unemployment rate. The Manhattan MSA held steady at 2.8%. The Kansas City Federal Reserve released their Kansas Economic Databook, Allen County currently has the highest unemployment rate in the state at 6.6%. Saline County has the lowest unemployment rate at 3.0%.